Chasing Davies: Nora's Baby Style + a Freshly Picked GIVEAWAY! 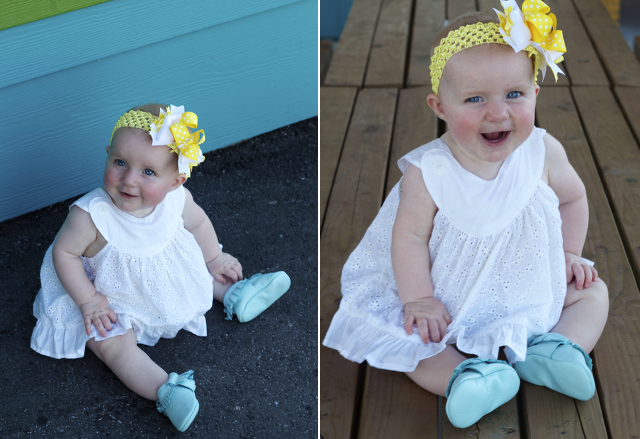 Nora's Baby Style + a Freshly Picked GIVEAWAY! And then on the other hand, when I found out I was having a girl, while I think I did a good job of keeping a lot of my shopping spree desires in check, I was so excited to add some super girly pieces to our baby clothing collection. Little girl's clothing is almost as fun to shop for as my own! I love to mix and match the super frilly pieces with the more down to earth items, just as I would my own style. These two outfits represent her typical looks. She's either in a super cute, girly dress or a casual tomboy-like look with hand-me-down's from big brother, Liam. Most often, you can also find her in a pair of moccasins - which in a fun color, like blue, really add a lot of personality to each look. Our love for Freshly Picked moccasins started with Liam. He received his first pair for Christmas from his aunt and uncle and learned to walk in them! 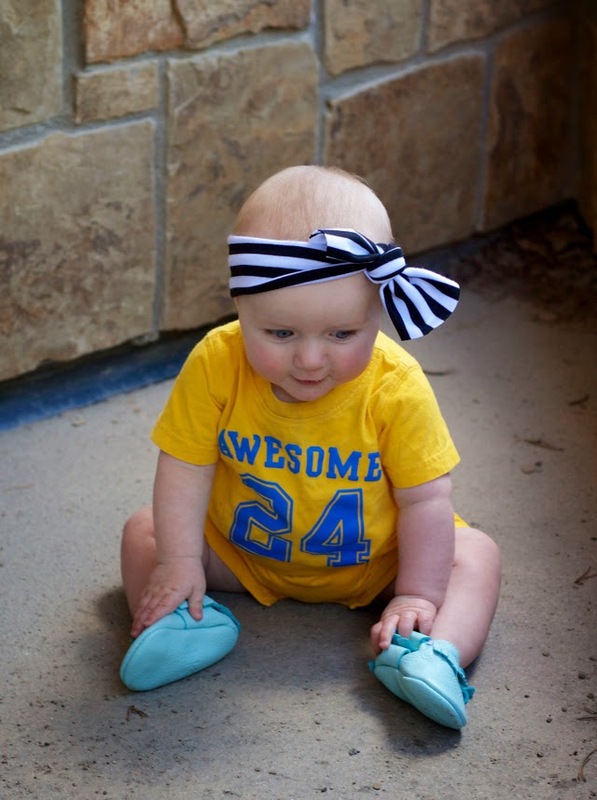 These type of shoes are so great for kids to learn to walk in, since they have a soft and thin sole to really allow for their little feat to develop and strengthen. 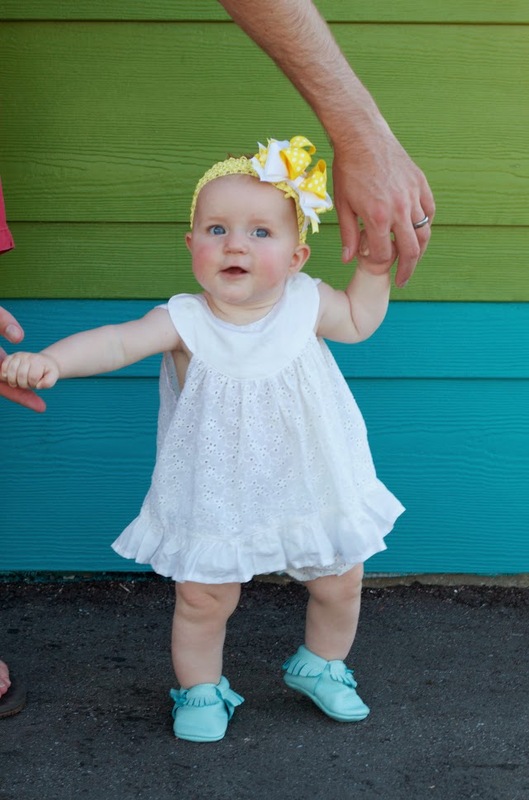 Besides that good stuff, they are freaking cute and uber easy to put on (even Nora's puffy little feet). 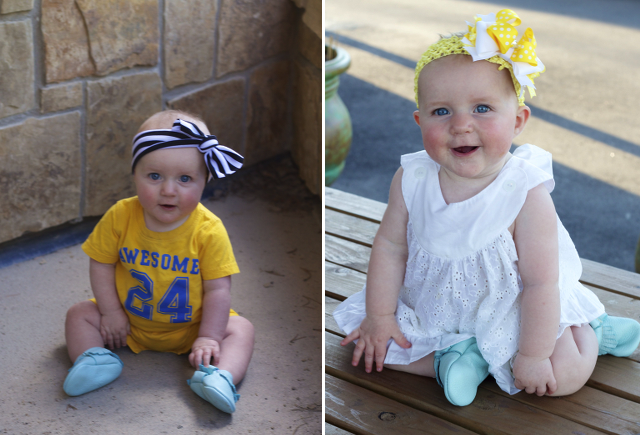 So, naturally, we want to share our love of these baby + kid shoes with one of you! 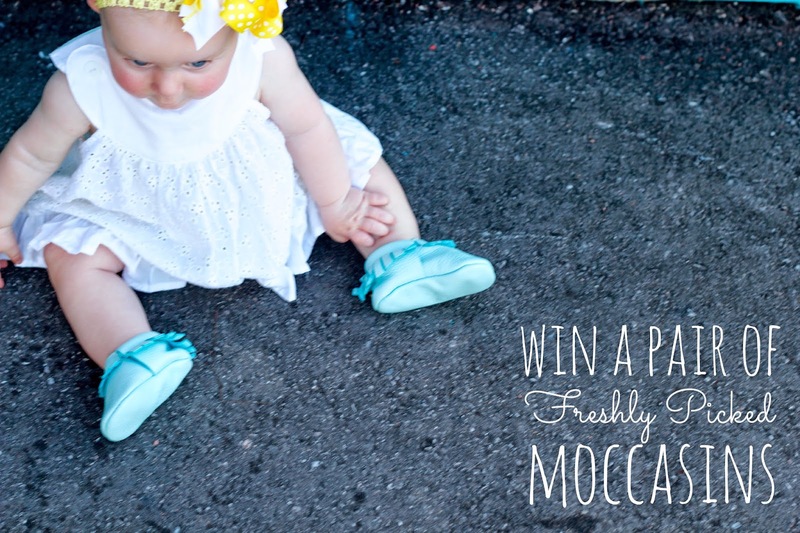 One winner will win their choice of moccasins in any color + size. Enter through the Rafflecopter below. Please note, the winner that you choose for your giveaway can not have won any other giveaway including a pair of Freshly Picked moccasins within the last 60 days.